Hope, the horse that a snake bit yesterday, is doing much better today. The swelling is already going down and she is eating and drinking normally. She seems generally jumpier than usual and giving her the first shot after the bite was exciting. A sharp prick in the neck must have reminded her of the bite and she reared attempting to jerk away…must have been a brief flashback. She is normally good for shots and after that first time she has been fine, which is good for me as she is receiving three shots a day. My blog about the snake bite raised some questions that I will try to answer here. Some people asked how we knew it was a snake bite and not a spider bite. We know it was a snake bite because you can see both fang marks on her nose. this area is also known to have snakes and they are saying they are especially bad this year. The closest vet told me they normally treat about five bites a week but treated five just over the weekend. Let snake season begin! We didn’t see the snake that bit her. The vets and the locals say it was either a rattlesnake or a copperhead. Two copperheads have been killed 1/8th of a mile from here and two more were sighted. We saw a rattlesnake resting on the road about two miles down the road. Both are around here. I like this part of Texas because it has lots of trees, rugged rocky outcropping, dry sandy stream beds…very pretty and very snake friendly. I was just hoping with the dogs around and with all of the activity with horse, cattle and people that they would stay on the other few hundred acres and away from the barn! 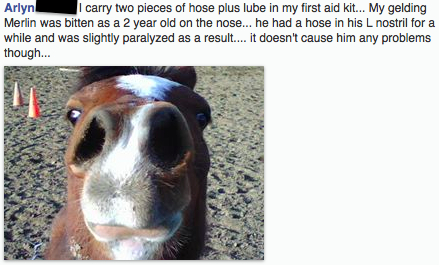 I had read about putting pieces of hose in a horses nose if the swelling got to bad. Thankfully her nose didn’t swell that bad. I have a friend in Colorado who had a horse get bit right between the nostrils. She reported that the horse was struggling to breathe and that it was very difficult for the vet to get anything in the nose. Not many vets carry anti-venom which has a short shelf life (6 months) and can vary greatly in price. I know two people that have bought it and they paid $400-$500. Other people have been quoted as high as $3,000-$7,000. I have no idea if the price varies by type of snake or availability or what. Also, it is not without risks itself including potentially fatal anaphylactic shock. The risk, cost and availability are probably part of the reason supportive care to reduce swelling and infection is the first choice. The vet prescribed Banimine, Dexamethasone, Gentamicin and Penicillin. These are to reduce swelling and to treat and prevent infection. Click here for a link to a great website that has more info on these medications. 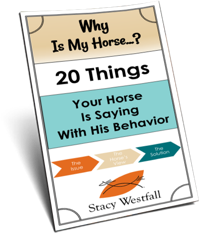 It sounds like the treatments also vary depending on other factors like the reaction the horse is having, the types of snakes known to be in certain areas, etc. 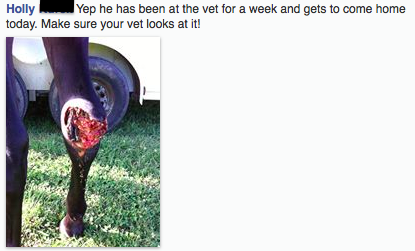 Many people posted photos on Facebook of their own horses…wow, I’m thankful that Hope didn’t get nearly as bad. Merlin has a cute face! From a training perspective it will be interesting once Hope has healed up to study her reactions to things. I will be interested to know if anything has changed, for example, her reaction to dragging a lead rope or hose like object. It is already easy to see that she is jumpy. I have already learned from her. She has always been fine with shots but her first reaction just after the snake bite was to rear and try to escape. By the second round of shots the next day she was back to normal and stood well. Will she have a reaction to things dragging on the ground? Once she feels better I will let you know! we have horses and copperheads.thankfully in all the years we’ve lived in the mountains none have ever been bit.but our dogs every once in a while ,will have a run in with one of them.so i keep some charcoal dust on hand and give them about a yes spoon full with water.it works.i wonder if it would work on a horse? Our donkey was bitten by a snake on her nose (most likely a copperhead) and it her whole mouth, nose and jaw was swollen to where her top lip was at least 2 inches away from her teeth. 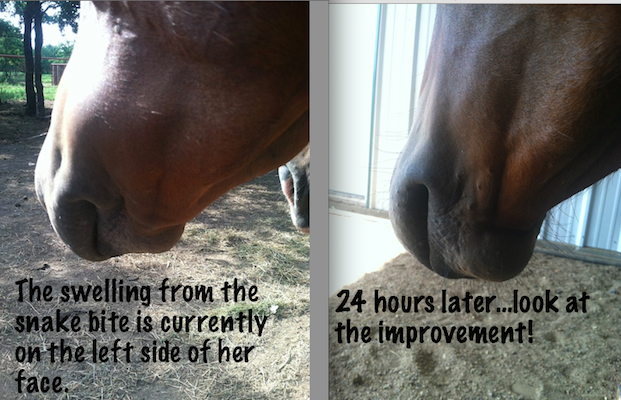 Our vet gave us a shot of steroids and within a couple of hours, the swelling went down to almost nothing. I was amazed at how quickly it went down and she is fine now. Very glad that Hope is doing well today! She looks significantly better! 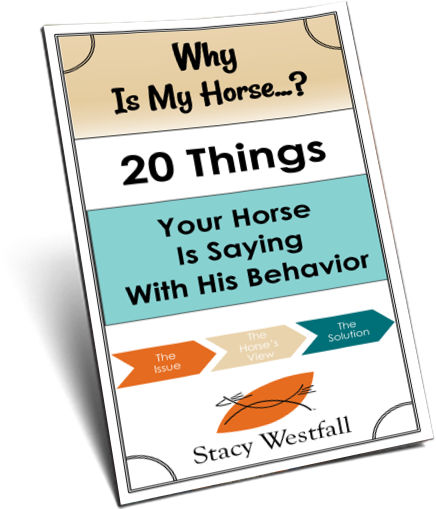 My vet pinches the area before giving a shot,gets them ready for the stick of the needle,might help! Very, very glad that all is well with Hope. I love many animals but snakes are not one of my favorite! So glad to hear all is progressing well. Just think how well you are prepared if it ever happens again and thanks for filling in all of us. Appreciate it. Ouch ! Looks nasty and sore. Good luck from an Irish follower ! All the best Karine ! You may look into getting some guineas. They are great tattle tales… they will raise heck if you pull a garden hose past them, so we like to keep them around. Snake bite is a fact of life in the upper plains of South Dakota. We are up to 7 in the last two years. We routinely vaccinate the dogs with the rattlesnake vacc which probably saved our aussie’s life last summer. Our vet’s protocol is about the same as your vet’s without the gent. Glad your horse is doing better. Our young ones always seem to get bit on the face. My Jack Russell was bitten in the face when she was 7 months old. All she did was look at the snake and he bit her. Looong story but she’s now 9 years and doing great. However! I believe there was a bit of brain damage. She’s a shaker and she gets moody. Maybe that’s cause she’s a Jack — who knows. But we love her. She’s now a very valuable doggie though. No anti-venom. I was told it had a 50-50 chance of killing her so we went with ice, antibiotics and great care instead. I think she lived cause she was soooo cute. Ya know those young girls that work in the vets offices??? They couldn’t keep their hands off her so they carried her around and pulled the IV stand all day and all night. I made them brownies with ganache` and pecans. Plus it was around 600 dollars a day. Oh well ~ ~ ~ ~ she’s worth it. Stacy, all the drugs your vet ordered for your horse can be given IV. Considering the horse needs them 3x per day, I’ve ALWAYS thought it’s a lot easier on the horse to have an IV catheter inserted and leave it in for the course of the treatment. I think the horses prefer it too vs. lots of needles! Please note: NEVER give penicillin IV !! It is fatal to horses. • When administered properly, penicillin usually does not result in a problem. But care must be to ensure procaine penicillin is always injected intramuscularly. If it is administered into IV or into a vein, it can be dangerous and potentially fatal for your horse. Whew, glad she is improving! I have had several black snakes on my farm this spring and, while I know they help keep the mouse population down, our DOGS don’t know that and I’ve been worried that one will get bitten. Although this doesn’t pertain to dogs, it was a good, common-sense reminder about snake bites. Hope Hope continues to improve. I bet with time and your good training techniques, she will overcome this brief unpleasant episode.